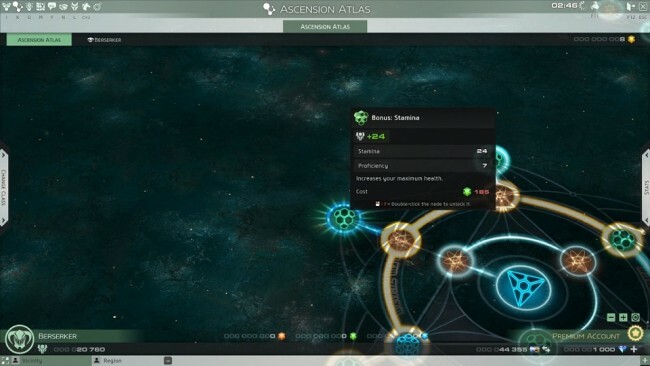 Symbols are located at the center of the majority of node clusters all over the upper Ascension Atlas. Some are unique and some are located in multiple places, all of these symbols adds a passive effect of some variety that improves anything from damage at the start of a fight to some interesting effects like summoning an Oculat when you attack to fight on your characters side. Pro Tip: These symbols potentially make a big difference the capabilities of your character so it’s good to put some time into studying the different symbols and mapping a path to the ones you desire, especially if it’s only a small detour to a class you are trying to unlock. It is worth knowing that some symbols stack with itself, so for instance the symbol of Ultimate Strength the effect of strength by the 10% for every Ultimate Strength symbol you unlock. These still only take the single symbol slot even if you unlock 3 of them. Thus it is well worth your while to map out these symbols that stack if it’s not too far out of your way. 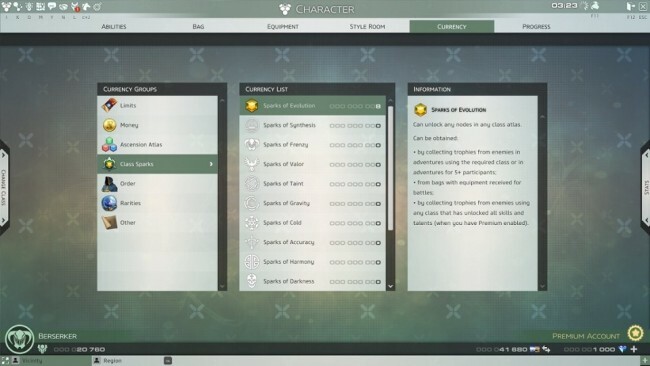 A complete list of the symbols you can unlock is under your Character section (Hotkey: I) and under the Abilities tab is the Symbols sub-tab. 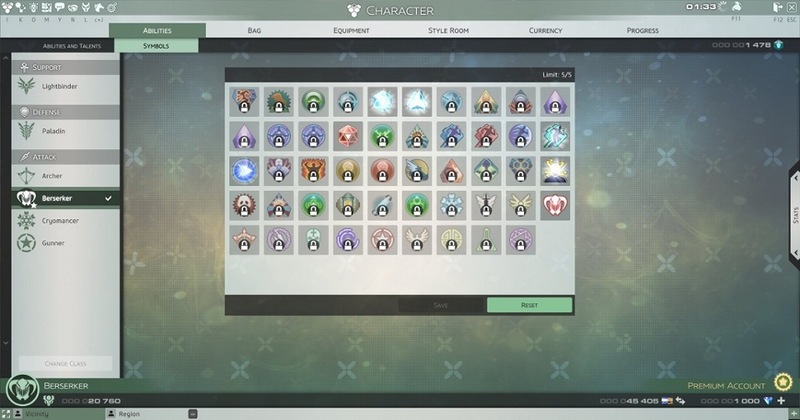 It is worth knowing that you initially start off with 3 symbols slots once it’s unlock, and for every Character Atlas you complete adds an additional 2 slots. Ether slots are also located around at the center of the some of node clusters in the upper Ascension Atlas. These ether slots comes in 3 varieties. Het, Coph and Sun. It is worth knowing they do not take up a symbol slot and are another way that a person can advance their character. Once an ether slot is unlocked you may slot corresponding Ether Cores into these slots. 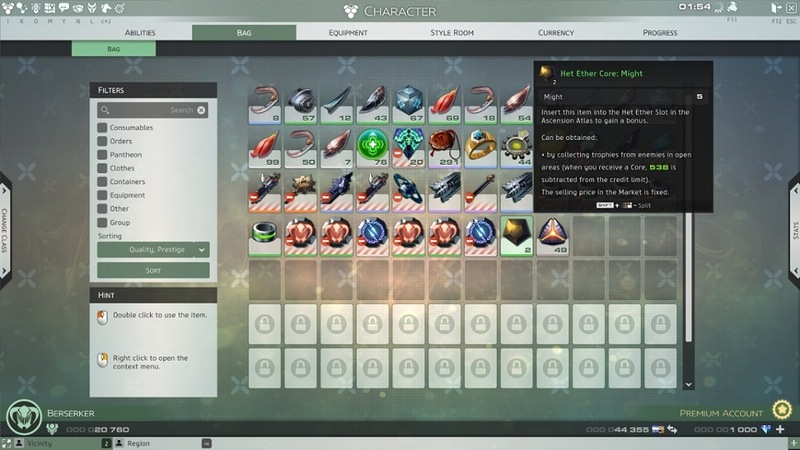 Each slot can take quite a large number of ether cores. Cores are dropped by enemies in open areas and are dropped in multiples of 2’s and increase either a primary or secondary stat. Pro Tip: Core drops does come out of your credit weekly limits, once you hit you credit cap you cannot loot cores until reset. Don’t be afraid to be picky in your looting as cores (as well as other worthwhile items) will appear in green loot containers. Once you have obtained some ether cores for a corresponding slot you have unlocked you may “slot” these cores in. Each core you slot carries a cost (Argents at the time of writing this guide) which increases slightly with each subsequent core of the same type you slot in. Pro Tip: A way to reduce the cost of slotting ether cores is by opening more slots of same type. The cost increase is specific to that slot, so while one Het Ether Core might cost 308 Argents as pictured above as quite a few have already been unlocked in that particular Het Ether Slot, it would cost substantially less on a newly opened Het Ether Slot located in another part of the Upper Ascension Atlas. One of the best way about getting the most bang for your buck is in all in the planning stage of the process. When it’s that time of the week you are waiting for your caps to reset this is the time to be planning out exactly where you want to go. By doing this you can make sure that you only earn the sparks of insight you desire so you can unlock the maximum amount of nodes for the week by not earning sparks you don’t need or plan to use for the week. But it doesn’t stop there, not all nodes are made equal. Nodes consist of either primary (Might or Stamina) or secondary nodes (Strength, Valor, Luck or Spirit). 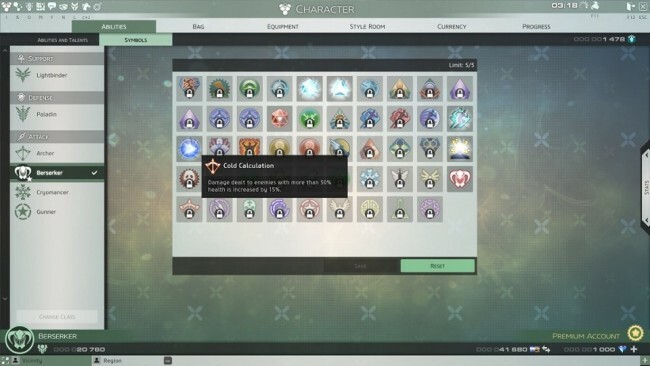 However only the primary stats nodes also include the proficiency stat, which as you might already know, the higher your proficiency stat, the better the gear you can equip. So what do we do with all this information? 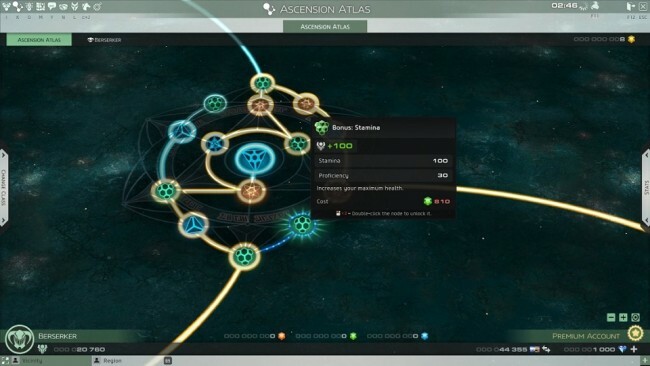 First is that primary stat nodes should take precedence where possible, only taking your preferred secondary stat nodes when you have a specific goal you wish to reach on your upper Ascension Atlas. As this will not only increase your damage and health, but will allow you to equip higher levels of weapons and rings. The second thing to be aware of is not all nodes of the same type (lets use stamina as an example) yield the same amount of stamina, prestige and proficiency when compared to the spark cost of other stamina nodes. This may effect your planning and the path you take so you can yield the most stats for your sparks. As an example, below we have a stamina node that cost 810 sparks of creation to unlock. It will yield 100 stamina, 100 prestige and 30 proficiency. Below we have have a stamina node that cost 185 sparks of creation to unlock. It will yield 24stamina, 24 prestige and 7 proficiency. When we take these two nodes we quickly notice a difference between what the two nodes yield compared to their spark cost. So as you can see some nodes are more efficient than others. This might effect what path you might take andits worth noting some of the differences are quite large, some stamina nodes for instance have a difference of 2.5 sparks per stamina and 4 sparks per point of proficiency. 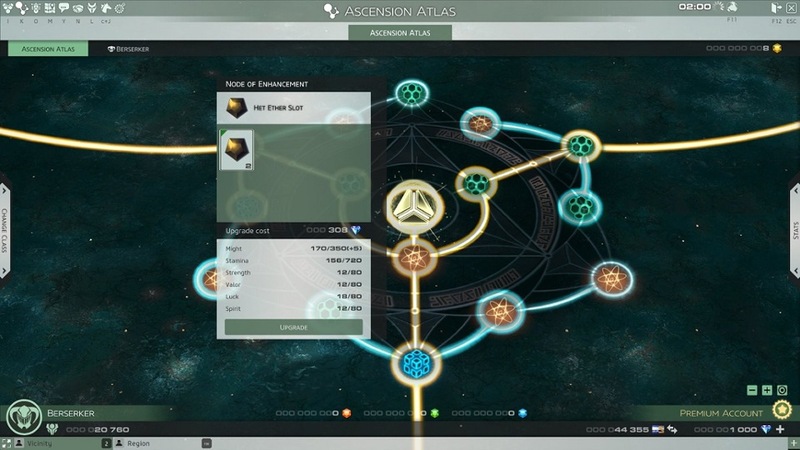 The good news is all 810 stamina sparks are exactly the same, so you don’t have to go through with a calculator working the ratio of every single node on the Ascension Atlas. Pro Tip: If spreadsheets aren’t your thing, as a very general rule the lower spark cost nodes yield more bang for your buck than the high cost nodes. Several things happen when you fully max out a class Atlas, the first thing is you are awarded a new costume. 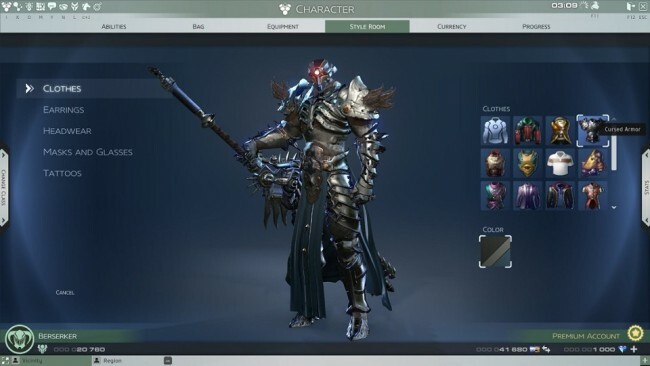 The Berserker’s Cursed Armor is shown below. Next you will be awarded 2 symbol slots for each class you unlock in addition to your initial 3 slots. As we have already gone through above, symbols can make a big difference in battle and the more symbols slots you have unlocked, the better. Also, not only do you get more symbol slots but you unlock a unique symbol for that class you which can be used regardless of what class you are. 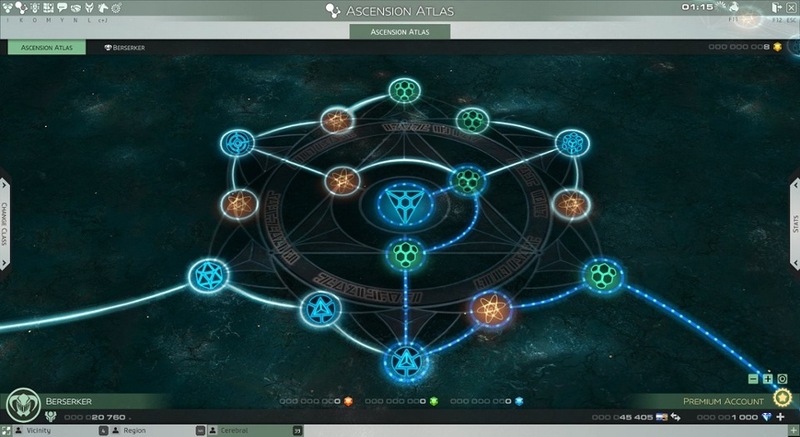 Class completion symbols are amongst the most potent symbols available, so completing Class Atlas’s are highly advantageous, even if you don’t plan on using that particular class. Below is an example of the Archer class symbol which is awarded upon completing the Archer Class Atlas. Once unlocked it is available to any class if you choose to slot it. The final thing that happens when you complete a Class Atlas if you have premium is whenever you use that class and would normally earn class sparks, you will instead earn sparks of evolution which can be used for any Class Atlas, we will also look at how we can get the most out of these. While at first glance these sparks are really helpful to completing other class Atlas’s, you can actually use them in a way that will help your main character even further. 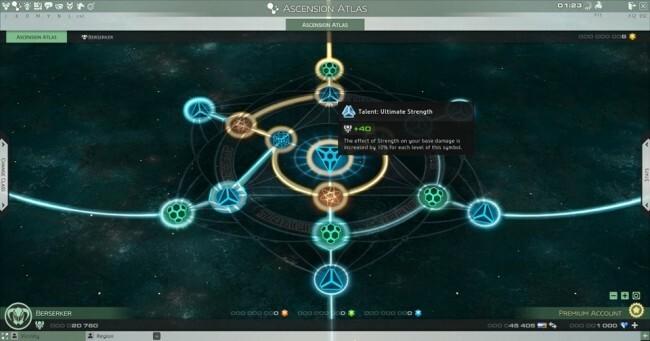 Every node in any Class Atlas increases your stats across the board. So if you unlock a node with 5 stamina, it will award you 5 stamina regardless of what class you are. So by unlocking nodes in a class you might have no interest in playing actually helps you in the classes you do like playing. But there is a couple of things that is worth noting that might change the way in which you spend your sparks of evolution. First, only the primary stat nodes before the path class spark node on every Class Atlas yield proficiency. All primary stat nodes after the path class spark node do not yield proficiency. Below as you can see, might and stamina nodes yields a small amount of proficiency yet the might and stamina nodes after the path class spark node do not. The second thing worth noting that while the nodes before the path class spark node cost sparks of insight normally, if you do not have the appropriate sparks of insight you can use your sparks of evolution instead. The problem is however that it will always try to draw from your sparks of insight first. So if you don’t want this to happen make sure you have the least amount of sparks of insight as possible. Please weight up whether it’s worth unlocking these nodes on all your classes first, or whether it’s better to unlock each class in it’s entirety one class at a time, and whether its worth using your sparks of insight or your sparks of evolution to unlock these initial nodes. As there is advantages and disadvantages to both paths. Pro Tip: Sparks of Insight will increase each week, where class/evolution sparks do not. As a result at a later stage it might be better to unlock these initial class nodes with sparks of insight and not your sparks of evolution to maximise your symbol slot potential, however it could be argued unlocking these nodes early on while your sparks of Insight limits are low is more advantageous to maximise you proficiency and thus being able to equip better gear.